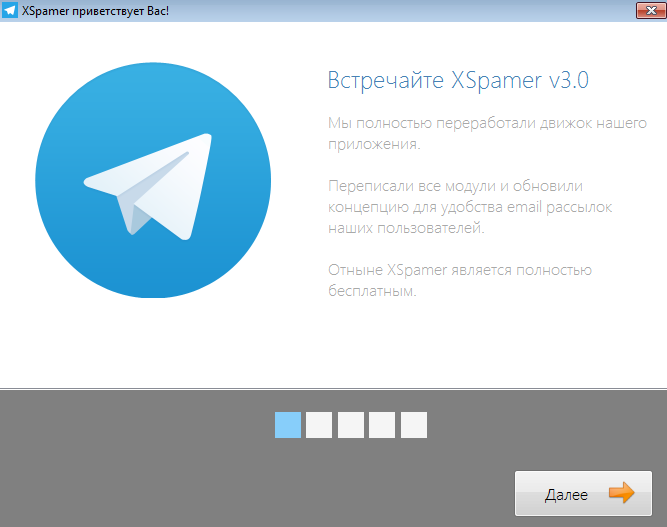 XMailer running 3.0, you will see the starting window of the program. If you run XMailer first time on this computer, then you need to read and accept the agreement. If the server is found a new version of the XMailer, you should press the button "Download the update" and run the new version. To login - click "Next" and go to the window "The entrance to the XMailer".